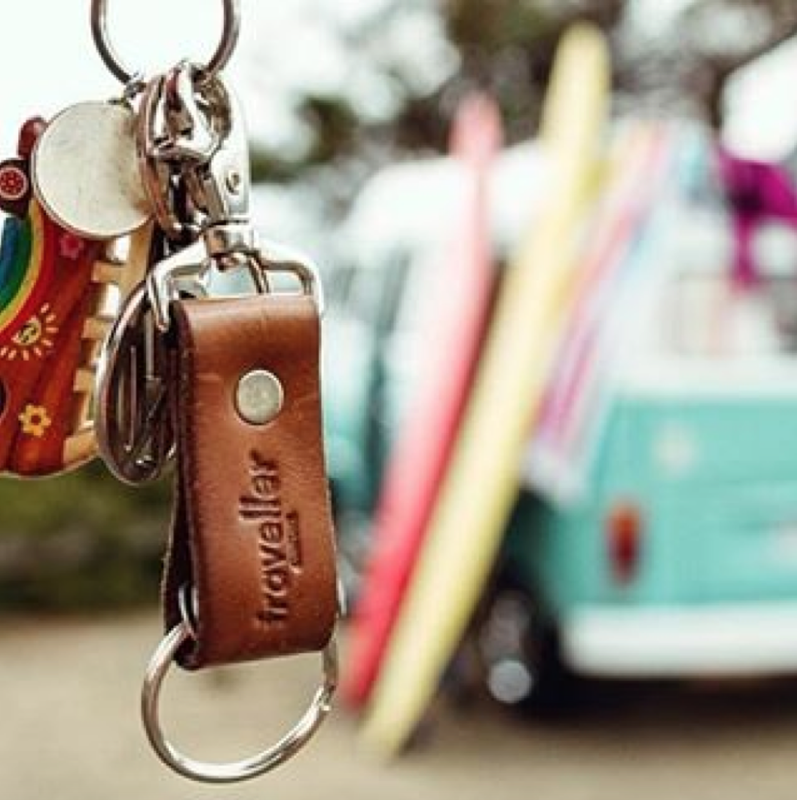 A few months ago, my friend Kacey tagged me in an Instagram thread on a fun company's account - Traveller Collection. 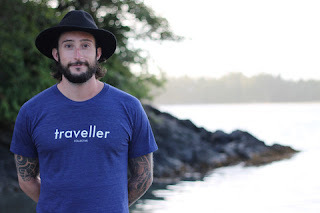 Traveller Collection is a small company that offers apparel and a unique way to remember all of the places you've been with the overall goal to "create a movement of people who love to travel and want to do something about these massive inequalities." TC is currently working toward sponsoring the construction of a well in Ethiopia that will provide clean water to over 120 people and I, recently, had the opportunity to chat with the founder, Darryl, to learn more about his company! 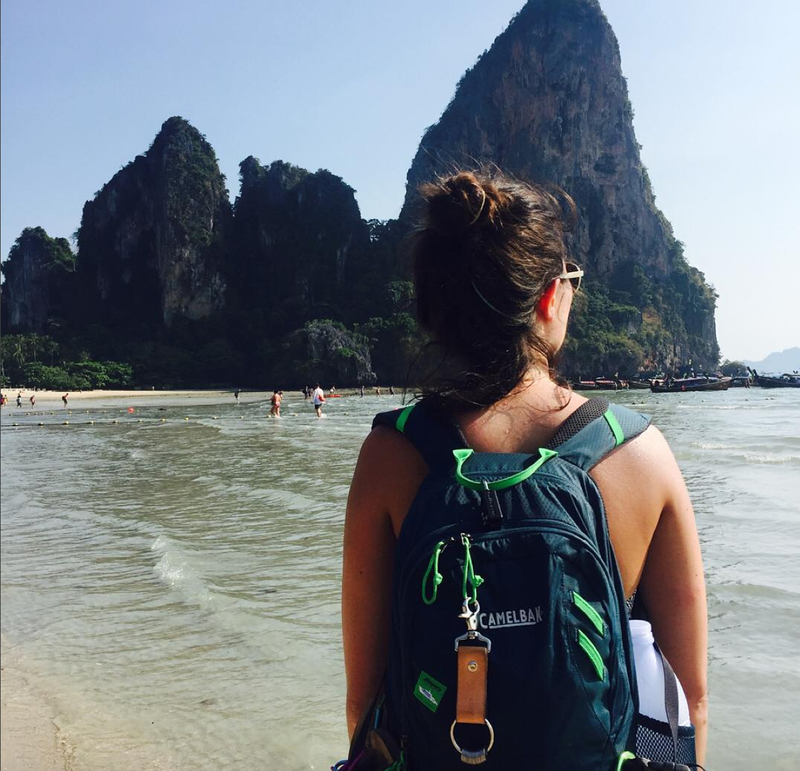 "@maddyhogan and @logo610 making their way through Thailand"
When you decided to create this movement, how long did it take you to decide that providing clean water was the best choice? 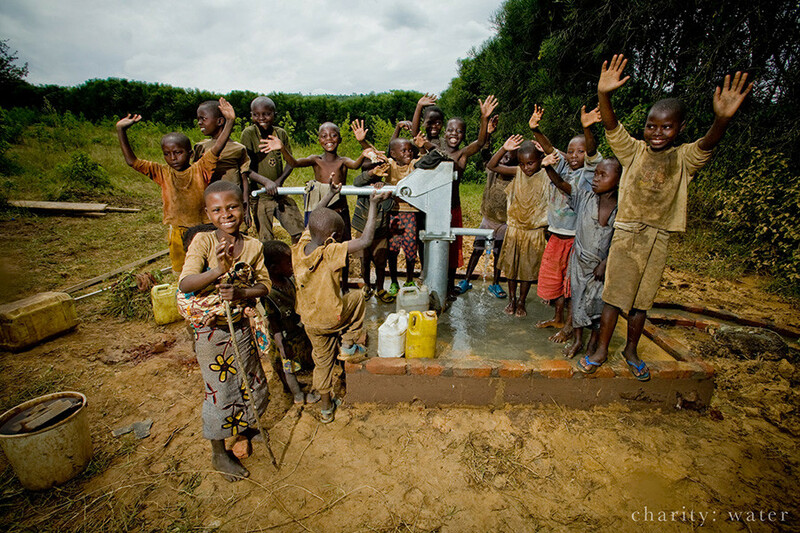 Having Project #1 being about clean water was a bit of a no-brainer for us. This whole thing started based around the fact that people like us have the opportunity to travel the world when so many others have almost nothing. The difference between the haves and have nots is so dramatic that we wanted to do something, even if it isn’t changing the world just yet. For us, clean water is really the basic necessity of life and it really is at the complete opposite end of the spectrum to our ability to travel. I also had a pretty eye-opening experience at a homestay in India where I was in charge of collecting water for the family. 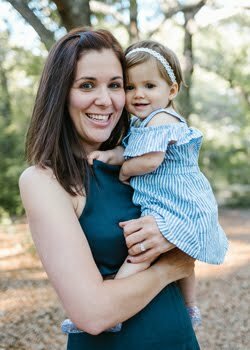 To see what the family had to go through, day-in and day-out, for something that’s so simple for us at home, really changed things for me. According to your timeline, the $10k goal should have been reached this month. Did that happen? We’re super happy to say it will be! We’ll be donating the money to charity: water on April 1st. We’ll also be sending out the details on our next project that same day. How involved can you get with the actual production of the well? Do you have plans to travel to Ethiopia? To be honest, not super involved. It’s really the people on the ground over a 20 to 24 month period that will be involved in the actual production from start to finish. What’s great about REST, the organization involved with putting everything together, is they hire the majority of the people needed to build the well from the actual community that will be receiving it. Really fosters a sense of ownership of the new well, and of course provides employment at the same time. We have a tentative plan to go the Ethiopia in October, once construction is underway, and we’ll actual be taking someone from the Collective as well which we’re super excited about. We’ll be going live with all the details next week! @eatplayloveelys sharing their Clip and Country Spacers from Norway. How did you come up with the clips and spacers? Short answer…through a lot of horrible prototypes. But the idea itself came from always seeing so many people with flag patches on their bags. I liked the idea of collecting something to represent the different countries you’ve been, but didn’t really like the idea of broadcasting it on a bag, you know what I mean? I wanted to create something more personal, something just for that individual that’s their story of world travel. Not only that, but something that’s a reminder of lucky we are to be able to lead the lives we do, and see they things we can. How many spacers do you have? Any travel plans on the calendar? Collected 30 and have been really itching to get back out on the road. Certainly hasn’t been easy to find the time with Traveller Collective going full-swing, but heading to Colombia in the next couple weeks which I’m super excited about. Have you met any customers throughout traveling? If so, where? None yet! But I can’t wait. I’d love to hear stories of other collective members that have met randomly. That would make me unbelievably happy. "@_chloesmithphotography_ making moves in her bitchin' van." How can we (the readers/customers) help you get the word out about TC? Simply passing it along to the people you know that love to travel and want to do some good in this world. Word of mouth has been super helpful for us to be able to grow to this point. 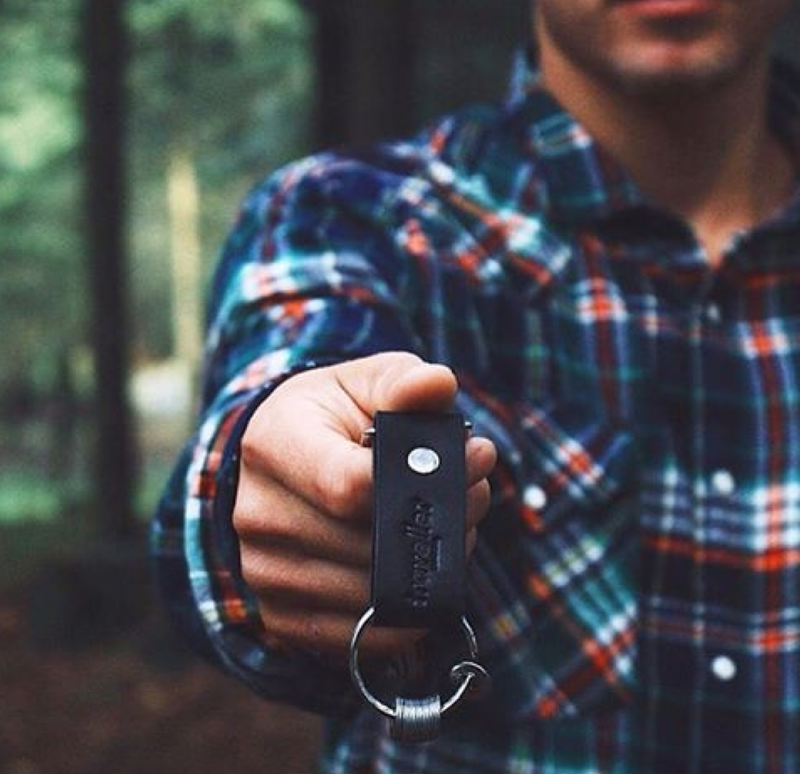 When it comes down to it, we’re just trying to create cool products for people that love to travel and are trying to make a difference at the same time. I feel it we just keep doing that, people are more than willing to pass along what we’re doing. 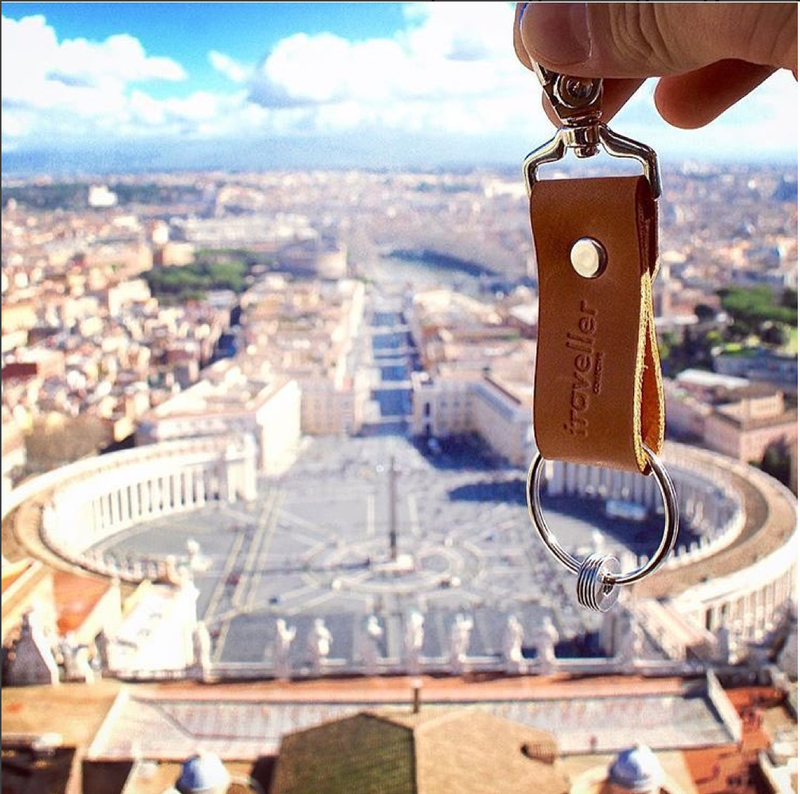 "@mealieconradie At the top of St. Peter's Basilica, overlooking Vatican City"
So there you have it folks... a really cool travel accessory that promotes giving back to all of those beautiful places that you love to visit! I have my clip and spacers, thanks to Kacey! When will you get yours? !